Minecraft for Mac is a game about placing blocks to build anything you can imagine. At night monsters come out, make sure to build a shelter before that happens. It also has music by C418! 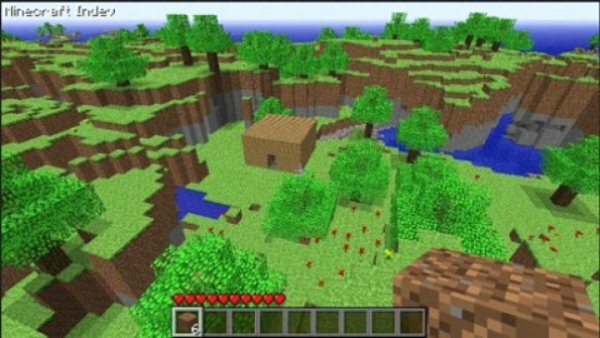 Minecraft is a creative sandbox game, in which you can create huge structures and caves to play in. It's a deceptively simple game of building and survival.Once you know how, mining and building is pretty quick, and you can create some really cool structures. Qweas is providing links to Minecraft for Mac 1.3.1 as a courtesy, and makes no representations regarding Minecraft for Mac or any other applications or any information related thereto. Any questions, complaints or claims regarding this application Minecraft for Mac 1.3.1 must be directed to the appropriate software vendor. You may click the publisher link of Minecraft for Mac on the top of this page to get more details about the vendor.